Author Emily Beck Cogburn. Courtesy Kensington Books. 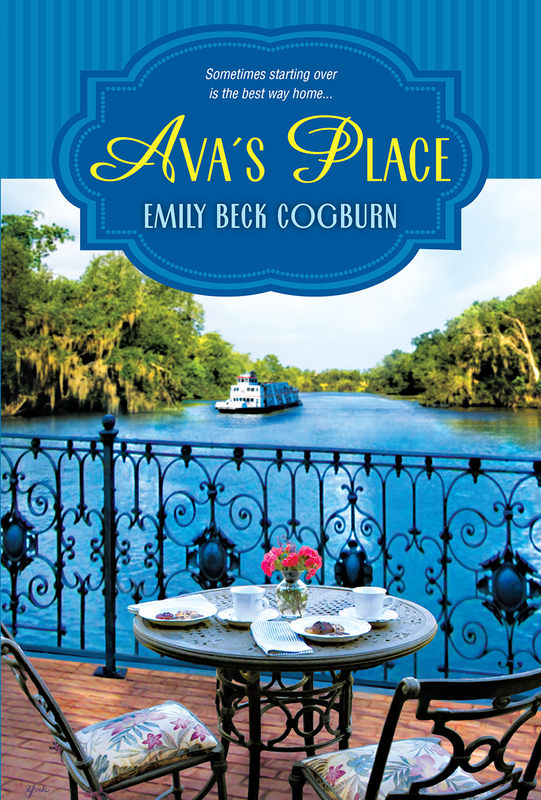 In Emily Beck Cogburn’s semi-autobiographical new novel, Ava’s Place, a single mom finds romance with the handsome co-owner of a café in the shadow of a Louisiana college campus. Title character Ava, an aspiring journalist, also lands the job of her dreams. Fictionalizing events from her life in the pages of Ava’s Place, Cogburn recasts LSU-adjacent dining institution Louie’s Café as Rosie’s Café, turns Baton Rouge’s newspaper The Advocate into The Saint Jude Gazette and renames LSU itself Louisiana A&M. Today, sitting in Garden District Coffee, where she often writes, she explains the changes. “Part of the reason why I change the names of places is that if I get stuff wrong, I can say, ‘Hey, I fictionalized it,’” she says. New York City-based Kensington Books published Ava’s Place in January. Following 2016’s Louisiana Saves the Library, it’s her second published novel. Cogburn, a Minnesota native, is the married mom of two young children, a freelance reporter and a fitness instructor living in Baton Rouge. Along with her master’s and bachelor’s degrees in philosophy, she has a master’s degree in library science from LSU. Cogburn has worked at area libraries, including The Advocate’s in-house library. So it’s no real surprise that the principal character in Louisiana Saves the Library is a librarian. One of the fictionalized composite newspaper characters in Ava’s Place is a towering managing editor named Mann. He tells Ava that The Saint Jude Gazette is expanding into the New Orleans market. The newspaper’s dwindling longtime staff also includes Ava’s best friend at The Gazette, a book-loving entertainment editor named Rocky. In one pivotal scene that forces Ava to consider some major career changes, The Gazette staff learns that The Times-Picayune, 80 miles away in New Orleans, will cut its print edition to three days a week. In 2012, the non-fictional Times-Picayune really did slash its print distribution and staff. While there are similarities between Cogburn’s Advocate colleagues and characters in Ava’s Place, she says few of the book’s characters are based on real people. Cogburn began her fiction-writing career in 1999 with short stories. In the six years that followed, she was able to get only one story published. Instead of giving up, however, she expanded to novels. The mysteries and young-adult novels she wrote received hundreds of rejections. Louisiana Saves the Library and Ava’s Place, both published by Kensington, are the eighth and ninth books she’s written, which shows how persistent she’s been. Ava’s Place was published in January through Kensington Books. Find out more at kensingtonbooks.com and emilycogburn.com.